A Lompoc man suspected of kidnapping and holding his ex-girlfriend captive for four days was arrested Tuesday in Las Vegas. 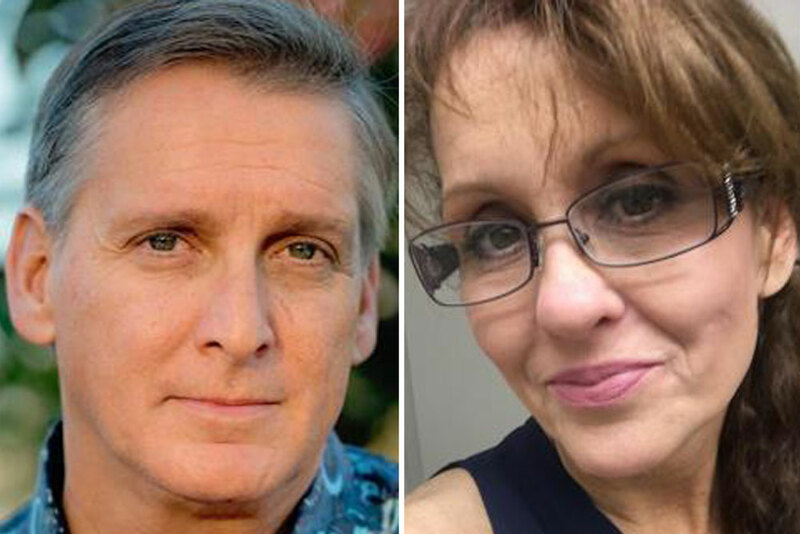 On Monday evening, Joseph Hetzel, 52, released Virginia Paris, 55, in front of a hotel in Henderson, Nevada. Paris told investigators that Hetzel may have been on his way to Utah. But officers found the getaway vehicle in Nevada and located Hetzel in Las Vegas. Just before 6 p.m. on Tuesday, officers took Hetzel into custody without incident. Officers booked Hetzel in the Henderson Detention Center on charges of carjacking and kidnapping with his bail set at $1 million. On Sept. 1, Hetzel allegedly abducted Paris while she was visiting Solvang. Hetzel is a convicted felon with a criminal history that includes using explosive devices with the intent to terrorize, felony vandalism and making criminal threats. On the morning of Sept. 3, Hetzel and Paris were spotted at a Starbucks in Goodyear, Arizona. After ordering a drink and giving the name Virginia, Paris told a customer in the coffee shop that she needed help. Hetzel reportedly saw the interaction, grabbed Paris, dragged her out of the Starbucks, kicked her into a vehicle and drove off at a high rate of speed. While Hetzel sped off, Paris tossed her car registration out the window, which Goodyear police officers recovered. The two then spent the night at a hotel near the Grand Canyon. Shortly after 7 a.m. on Sept. 4, surveillance footage captured Hetzel and Paris checking out of the hotel. Officials released surveillance images and circulated a report that Hetzel and Paris may be headed for Las Vegas. Shortly before 9 p.m. on Sept. 4, Paris made two calls to a family member. The first call was short, and Paris indicated she was coming home. In the second call, Paris asked for help and stated she was in the Henderson, Nevada area. The relative who received the call notified law enforcement in Santa Barbara County and Las Vegas. At around 11 p.m., Hetzel dropped Paris off in front of the Railroad Pass Hotel and Casino in Henderson. Paris summoned help, and casino staff contacted the Henderson Police Department. A few hours later, authorities located Paris’ vehicle, which was abandoned on a street in Mesquite, Nevada. It then took about 15 more hours for officers to track down Hetzel. Santa Barbara County Sheriff’s officials describe the case as a dynamic investigation that is still in its early stages. So, are we done with this story now?